Graber & Associates was established as a full service CPA firm to serve the tax, accounting and consulting needs of individuals and small businesses in the Baltimore area. We strive to strike the perfect balance between small, local, attentive service and professional experience and expertise. We believe that listening is the foundation of a lasting client relationship built on trust and respect. Our goal is to provide financial leadership, guidance and advice that you can rely on to help you grow your business and become more successful. 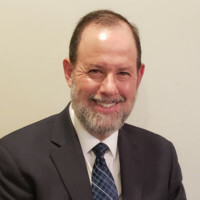 During his career as a Certified Public Accountant, Mr. Graber has built a reputation as an expert in tax and business consulting for self-employed businesses and owners of closely held corporations. He has been engaged in extensive tax research, tax planning and tax law compliance for over 25 years. Mr. Graber is skilled in dealing with Federal, State and local tax authorities. Steve received his Masters Degree in Business Management from Johns Hopkins University. He is a member of the Maryland Association of Certified Public Accountants. Originally from St. Louis, Steve has resided in Baltimore since 1985. He is married to Joy, and enjoys spending time with his children and grandchildren. David (Dov) Singal, CPA is a manager in our Tax and Accounting Department. He has over 15 years of accounting and tax experience. Early in his career Dov practiced as a business valuator and received NACVA’s Business Valuation Report Writing Award. He has a vast knowledge of Individual, Corporate, and Partnership (LLC) taxation. Dov oversees the preparation of all compiled and reviewed financial statements. With his knowledge and acumen in various business fields, Mr. Singal contributes additional depth and skill to the firm in key areas. Originally from Detroit, MI, Dov resides in Baltimore with his wife and children. Tracy Amos joined Graber & Associates in 2002 as a Staff Accountant, with a focus on payroll and payroll tax preparation. She is the Payroll Processing Services Manager and a manager in our Tax and Accounting Department. Tracy’s responsibilities include reviewing monthly and quarterly data, and the preparation of financial statements. Tracy also prepares individual and corporate tax returns during tax season. Prior to joining Graber & Associates, Tracy was Office Manager for an Aerospace and Manufacturing firm. For over 5 years Tracy has volunteered as Treasurer of a Towson, MD Non-Profit. Tracy is married with 2 children, and lives in Lutherville, MD. Naomi Gordon, CPA has been serving individuals and small businesses as an accountant for 14 years. She began her accounting career in New York City, where she worked at a prestigious Manhattan CPA firm Wasser, Brettler, Klar and Lipstein. After moving to Baltimore in 2008, Naomi joined Graber and Associates, where she prepares monthly and quarterly financial statements, processes payroll and payroll tax returns. She also has extensive experience in individual and business tax preparation. Naomi is proficient in QuickBooks and manages the day-to-day outsourced accounting for several clients. She is married to Chaim Gordon, a practicing tax attorney, and they have 5 children. Esther Jandorf has been in the accounting field since 2005. She began her accounting career in the Non-profit sector working for the Women’s Housing Coalition. Esther started at Graber and Associates in 2007 as Office Manager. She now services clients with their monthly accounting and payroll needs. Esther is proficient in sales tax, payroll, and payroll tax calculations and preparation. She also has a wide knowledge of QuickBooks, QuickBooks Online, and Bill.com. Sara joined Graber & Associates in 2016 as a Bookkeeper and Administrative Assistant. During her first two years she transitioned to full time with accounting and tax responsibilities. Sara recently completed her Master’s Degree in Accounting & Financial Management and is currently studying for the CPA exam. She is experienced In financial statement preparation, tax planning, and business and individual tax returns, as well as payroll and sales tax. Sara is proficient in Quickbooks and Quickbooks online. Originally from Savannah, Georgia, Sara lives in Baltimore with her husband, Shlomo, and daughter, Devorah. Rivkah Goldberg joined Graber & Associates in 2014 after working for 7 years at a Baltimore Non-Profit. She is Office Manager/Administrative Assistant. Rivkah is responsible for the workflow and collation of all Tax Returns and client communication. She also manages our client portal (ShareFile). Originally from Cleveland, OH, Rivkah now resides in Baltimore with her husband Yehuda, an employment attorney, and her 3 children. Solomon Lesser recently completed his Bachelor’s degree with a concentration in accounting, and is currently studying for the CPA examination. In his short time at our firm, Sol has proven himself extremely capable in assisting our clients with their business and personal tax needs. Sol serves as President of his neighborhood Homeowner’s Association. Originally from Brooklyn, NY, Sol moved to Baltimore in 2012, and joined Graber & Associates in 2016. Becky Warburg has been in the accounting field since 2001 and has been a Certified QuickBooks ProAdvisor since 2006 . In addition to assisting clients with QuickBooks, she is experienced in payroll, financial statement preparation, business and individual tax preparation. Becky services clients in various industries with their accounting and payroll needs, as well as tax planning and compliance. She also assists small business clients with accounting systems setup and training. Becky has her BS in Economics from Towson University and is studying for the CPA examination. Originally from California, Becky lives in Pikesville with her husband and three children. Dani Moses, CPA joined Graber & Associates in June of 2018 as a staff accountant providing tax preparation, payroll and bookkeeping services. He previously worked in a small accounting firm in a similar capacity. He finished his CPA certification in June of 2018. Dani serves as the treasurer of his synagogue. Dani is a Baltimore native and lives in Baltimore with his wife and 3 children.